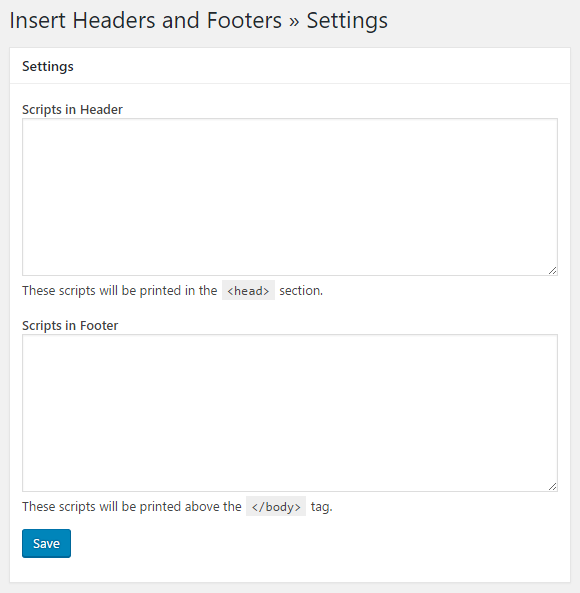 In order to add Google Analytics code to your website, or the Google Adsense set up code, we would suggest installing the Insert Headers and Footers plugin. After installing and activating the plugin, go to Settings > Insert Headers and Footers. Copy and paste your Google Analytics code into the “Scripts in Header” field.